Sometimes our man can use a little help keeping up on the hygiene. He's known the basics for years but hasn't upgraded since he was a teen. With Valentine's Day around the corner, pamper him the way he pampers you. It's the best kind of gift to give, one where you benefit too. Every man could use a good moisturizer to hydrate his face. Show him how to use it by massaging it into place. Bearded or clean shaven - which direction will you go? Either way your man will love the treat you've got in stow. 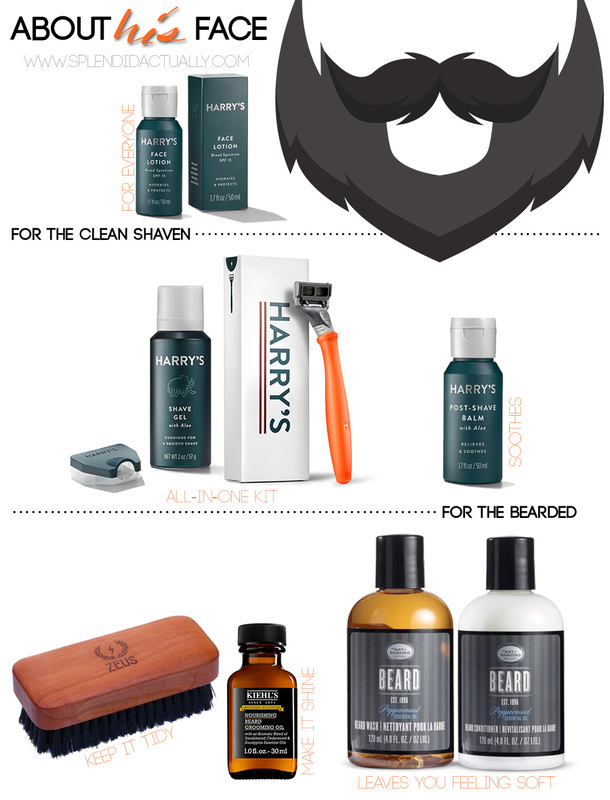 For the clean shaven gent, a shaving kit and balm to keep his face feeling smooth. The aloe infused balm will keep away redness and soothe. And for the bearded mister, a few treats to manage his mane. Wash, condition, brush, and shine, these products will aid your campaign.